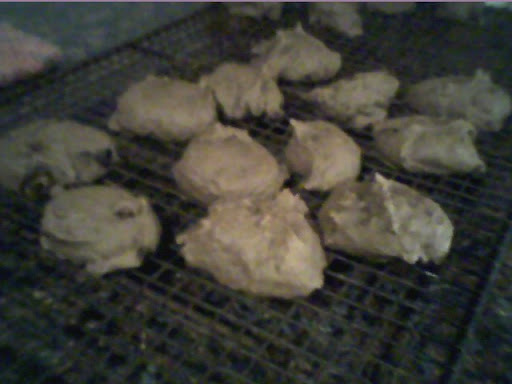 These are a chocolate applesauce cookies out of a diabetic cookbook mom gave me. These cookies might look tasty, but it was not. Disappointing nasty cookies. I will probably be the only one that will eat them. At least it was not as nasty as the black bean brownies.